If you have lost several teeth or have serious oral health problems that could result in losing a number of teeth, you should know about all on four dental implants. They are widely considered the gold standard solution for people who are missing multiple teeth on one or both rows. Dr. Peiman Soleymani of Beverly Hills Periodontics & Dental Implant Center is a noted implant specialist and periodontist who has helped countless patients with missing teeth restore their smiles and move on to a happier, healthier life. 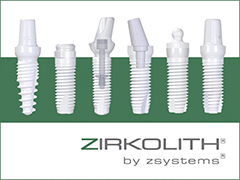 Standard implants replace the root of a single missing teeth with a synthetic implant made of metal or zirconia. They are then capped with a prosthetic tooth similar to a denture or crown; the difference is that the implant actually fuses with the bone of the jaw, which means that it is essentially the same as a real tooth. Naturally, the more teeth a patient is missing, the more labor-intensive and time consuming the treatment becomes. It can be a pretty daunting prospect if you have as much as one or two entire rows of teeth to replace. All on four implants streamline the process by using four strategically placed implants that can form the support for an entire row of prosthetic teeth. Patients especially appreciate that they can walk out of an initial procedure with an entire new row of attractive new teeth replacements, and the long-term prognosis is typically excellent. Are implants really that much better than dentures? In terms of nutrition and self-confidence regarding a patient’s appearance, dentures are obviously vastly better than doing nothing at all. However, while being able to eat properly and having confidence are extremely important, dentures and bridgework do not address the bone loss in the jaw that occurs when one or more teeth are missing. They can also be a great deal of trouble to clean and care for. Implants stop the progression of bone loss, which can have serious impacts over time. They also look and act just like real teeth and are cared for in the same way as real teeth — regular brushing, flossing, and dental visits. All in all, the all on four dental implants in Beverly Hills at our offices are just about the best solution out there in terms of convenience, appearance, and overall good health. How are all on four implants procedures performed? Like single implants, all on four implants are a minor surgical procedure that can be completed in an hour or two. Once the procedure has been performed, temporary prosthetic teeth will be placed onto the implant. They will be replaced by permanent metal or zirconia prosthetic teeth later. Most people with missing teeth are candidates for the procedure but if the teeth have been missing for more than six months, Dr. Soleymani and our team will perform radiographic tests to test for bone atrophy. In some cases, an additional bone and/or gum grafting procedure may also be necessary. What happens once the procedure is performed? Patients leave their all on four procedures with a new row of temporary prosthetic teeth that are somewhat similar to crowns. As with other minor oral procedures, there will usually be some swelling and discomfort immediately after the procedure that can be treated with standard over-the-counter NSAID pain relievers. While the discomfort should gradually subside within a relatively brief time, for the next six months or so, certain hard foods will have to be off the menu in order to avoid damaging the temporary teeth. Once Dr. Soleymani has determined that the jaw bone has fused with the implant and healing is complete, he will replace the temporary prosthetic teeth with permanent replacement teeth. That should look and perform the same as real teeth. If you have lost several teeth or have hopelessly compromised teeth that are likely to be extracted, getting in touch with an experienced oral health expert like Dr. Soleymani is an excellent way to begin. Dr. Soleymani is noted periodontist and implant specialist, and he and his team at the Beverly Hills Periodontics & Dental Implant Center are looking forward to hearing from you.